It’s FREE Challenge Group time!!! 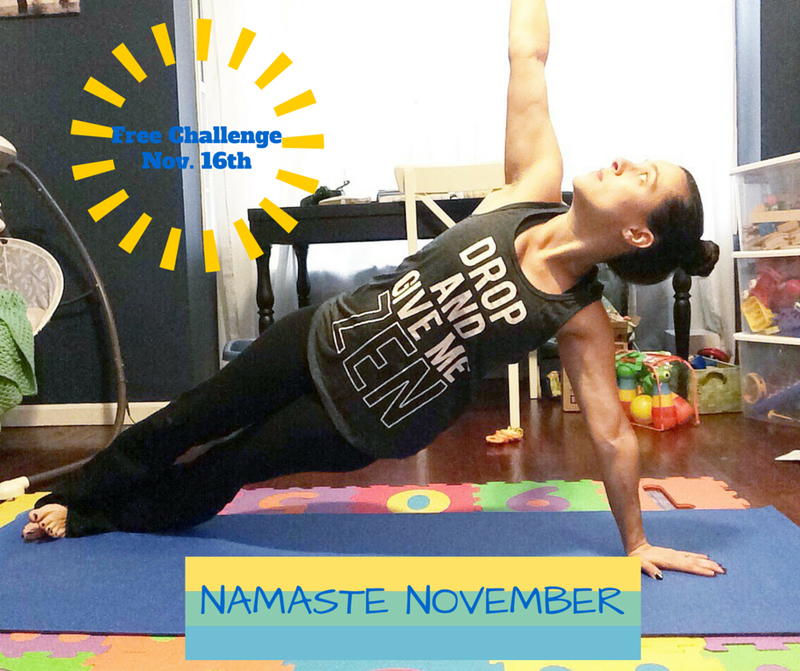 And this month, I am going to mix things up a bit with a NAMASTE NOVEMBER CHALLENGE! Many of us have a LOT of stress coming up with the holidays…lots of parties to prep and plan for, lots of unhealthy comfort foods at every event, holiday shopping, decorating, you name it. I wanted to take this next week prior to all the craziness to just DECOMPRESS and CHILL OUT a bit. Join me starting November 16th for a YOGA inspired challenge where we will come together for some low impact exercise, inspiration, healthy festive recipes, and tips for how to carve out time for physical and mental wellness during the chaos of the holiday season. If this sounds like something you would enjoy or even if this is something brand new and outside the box for you, I would love to include you! Simply comment below with your e-mail address or e-mail me at gina.notes26@gmail.com. It’s going to be a fun week and will hopefully allow us to enter the holiday season this year with a little less crazy.